Mets narrowly avoid a final-series sweep at the hands of the Brewers, perhaps inspired by Mike Piazza, and finish with the exact same record as 2012: 74-88. This year, though, that’s good enough for third place in the NL East! 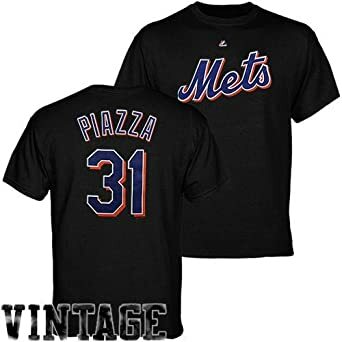 Was it Mike Piazza Day or Eric Young, Jr. Day? Young was playing like a man on fire, particularly in the first frame, when he came as close to singlehandedly scoring a run as one can get. Though, upon closer examination, it could be argued that better execution — even average execution — by the defense should have resulted in Young being put out before crossing home plate. Still, his aggressiveness forced the mistakes. When you make dumb decisions and they work out, it’s called “being aggressive” (or, “Dan Murphying”). When you make a dumb decision and are put out, it’s called “a dumb decision.” Against the little-league defense of the Milwaukee Brewers, being aggressive was a good plan. This game came down to an assortment of plays at the plate, umpiring calls, and fundamentals. It was ugly — a fitting way for this Mets team to finish. Jonathon Niese deserved better, both in this game and in 2013 overall. He finished the year 8-8, and was admirable to stellar in seven of his final nine starts. Eight wins? Vic Black “earned” the victory, and he finished the year with three. Was it fitting that Frank Francisco closed it out, to earn his first save of the year — and likely his last as a Met? It looked like the Mets weren’t going to come back from the seemingly mountainous one-run lead the Brewers took. But then in the bottom of the 8th inning, Sean Halton and Scooter Gennett set up the circus tent, laid down three rings, and began performing. The only thing more stunning than the terrible series of events that occurred by the Milwaukee defense was the reaction by GKR, who spoke as if they’d not seen “little league” mistakes ever before. They were right to harshly criticize the Brew Crew, but really guys? You’ve NEVER seen stupid baseball on this level before? Have you been watching the same Mets games as I have for the past three years? 2013 was a long, long year for the Mets and Mets fans. I’m torn to see it come to an end. On the one hand, the agony is over, and for the next month the only baseball to watch should be really good baseball. On the other hand, there’s only a month left of baseball to watch, and then a long winter or debating whether or not Daniel Murphy is a legitimate everyday Major Leaguer. 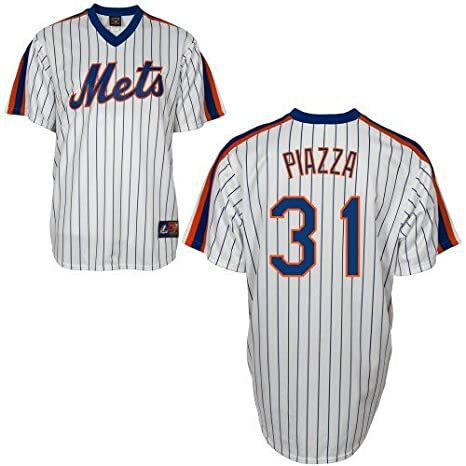 The Mets host the Washington Nationals on March 31, 2014 to start the season. TBD will take the ball against TBD; there’s a good chance that TdA will catch for the Mets. There’s also an Audible version; use any of the above links to get to it. I attended the game today, and thought the Piazza ceremony was done just right. 30 minutes, no long speeches, heartfelt testimonials, cool old timers (Harrelson, Staub, Kranepool, Al Jackson). And no ‘roids jokes (This would be mine: “Mike, it’s great to have you back…ne”). And I never get tired of watching his post-9/11 home run against Atlanta. I remember how charged I was when the Mets acquired him. I knew, absolutely, they would become contenders. 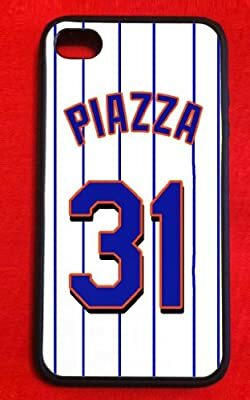 Oh for the day when the Mets will be good enough that one more player can tip the scales like that (Delgado/Wagner had a similar impact for the ’06 team, but Beltran was that team’s Piazza). As to the game? Definitely one of weakest wins ever. 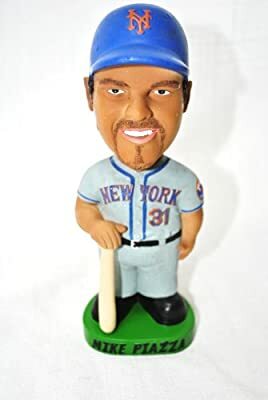 The EYJ-fueled first inning was comical, as if he knew if he didn’t steal second and third – and home, for all intents and purposes – the Mets wouldn’t score. I have hand it to him, he was dead right. Then he hits a 18-bounce dribbler that went about 15 feet to “drive” in the lead run in the 8th. Quite a day, though not exactly Cabrera-esque. But hey, I wanted a win, and mission accomplished. And I had a Shake Shack burger, so…bonus. Weird, though: nothing to say about Murphy today. Was really hoping he’d give us something to talk about one more time. Joe, I just want to add to the others’ comments about how impressive this year was for Mets Today. I’ve really come to enjoy this community, which I find unique in the Mets blogging universe. You bring a singular voice and style to this forum, and while – obviously – I don’t always agree with you, and man, but you go on some infuriatingly cynical benders, I value this space very much. When a guy toils 162 games a year to document a third-rate (and this year, wow, third place!) team, it demonstrates serious commitment and dedication. So thank you. It’s appreciated, and I hope we do this again next year. Memo to Wilpons: this is what happens when you have an actual great during the prime of his career. Maybe you should rethink your crappy philosophy, and step into some unfamiliar territory this winter (whether via FA, or via trade…..the latter probably being the best way to get someone of true All-Star status). The game was typical Mets….boring. No hitting, runs scoring on sac flies and on terrible Brewer errors and misplays. During the “rally”, I don’t think a single ball went more than 60 feet into the infield. Thank God it’s over. Now show me somethin’ for next year. 74-88 and done, with both a win and a protected pick. To use someone else’s words, what a long, strange trip it’s been. I sense better Met times ahead, ,in the not so distant future, but we’ll just have to wait and see. I’ve only been plugged into the MetsToday forum for a couple of years, but I must say that despite this dreary era of Met baseball, your blog has been therapeutic, educational, and entertaining. It is both amazing and weird to dialog in this modern forum, with those that are both strangers and brethren. I can’t wait for the player recaps, especially to get your take on that Daniel Murphy guy. It’s a tireless job. Good job Joe. It’s been enjoyable. 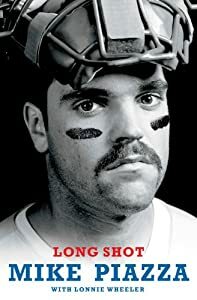 The only thing more stunning than the terrible series of events that occurred by the Milwaukee defense was the reaction by GKR, who spoke as if they’d not seen “little league” mistakes ever before. They were right to harshly criticize the Brew Crew, but really guys? You’ve NEVER seen stupid baseball on this level before? Have you been watching the same Mets games as I have for the past three years? Same observation, just more emphasis. As to the conspiracy theories about the Wilpons telling SNY to tell GKR to pitch the party line, I doubt specific messages are handed down, but I’m sure some sort of influence is present. “Don’t ruthlessly trash our guys” might be the whole of it. Again, I don’t find this troubling. I’m quite convinced that Kieth’s love of Collins, for example, is 100% sincere. (I also find it ridiculous. But that’s Kieth — I love him for his observations much more than his opinions). As one who follows baseball on reddit, I find the admiration for GKR is universal. It’s common for rival fans to praise them as the best broadcasting team in baseball. Joe, thanks for the great season of recaps. Can’t wait for the hot stove. But first, looking forward to enjoying the playoffs. mlb.com’s “At Bat” app is a little pricey, I suppose, but that’s the way I get SNY in the Philadelphia area. It’s been 24 hours since the season ended and the Mets haven’t done anything to improve the roster. Who had game 162 in preseason prediction for Francisco’s first save? A million thanks to Joe and all the contributers for making the season fun. FF closing out the season was indeed curious. I am reminded of Ollie’s being hung out to dry by Jerry Manual on the last day 2009. Hey Joe, thanks for another great season here on MetsToday. I am sure it is not pleasant recapping more losses than wins, as you have been doing now for the 5th losing season in a row. Here’s to an interesting and active hot stove league, and hope for the future of this franchise. Hey Joe, how about rerunning that one post you did at the beginning of the year where we all made our 2013 predictions? I am sure some people would chuckle over my prediction that Marlon Byrd would be first outfielder cut. I say each post in 2014, if he still is around, should have at least one dig at Daniel Murphy. Why stop at every other? The “more Mets game than Mets game” of the day was over in Houston, where they just didn’t want to stop playing, it being 1-1 or something to around the 15th. But, it’s appreciated that you managed to almost cover every single game and unlike Gary Cohen not get the big bucks for doing so.